I saw a man in white, he looked quite a sight. He was not old, but he stood in the cold. And when he felt the sun, he started to run. Please answer me. 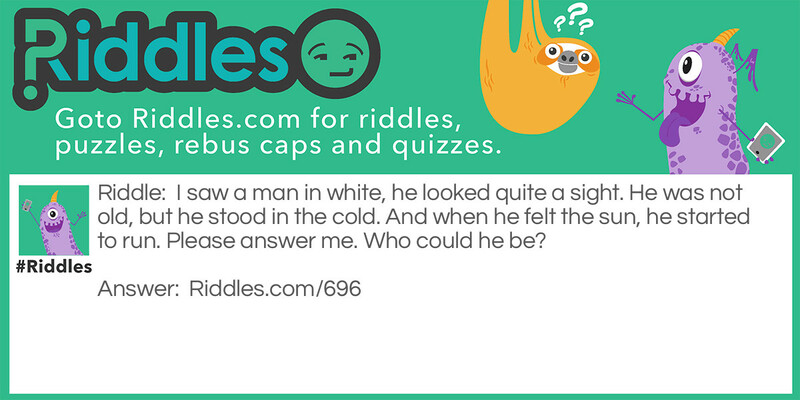 Quite a sight Riddle Meme with riddle and answer page link.